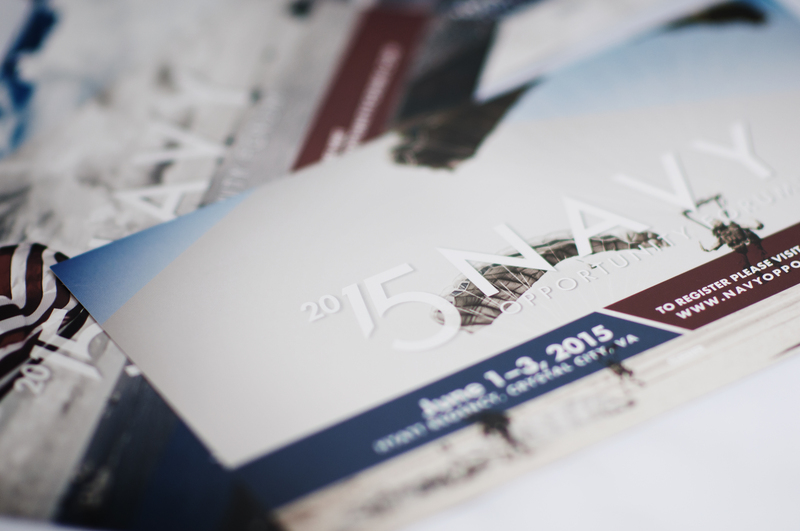 Although we’re told not to judge a book by its cover, judging the merit of an annual event by its unique and professional promotional materials is just what Dawnbreaker Design aimed to do with its customized design systems for fifteen consecutive Navy Opportunity Forums®. 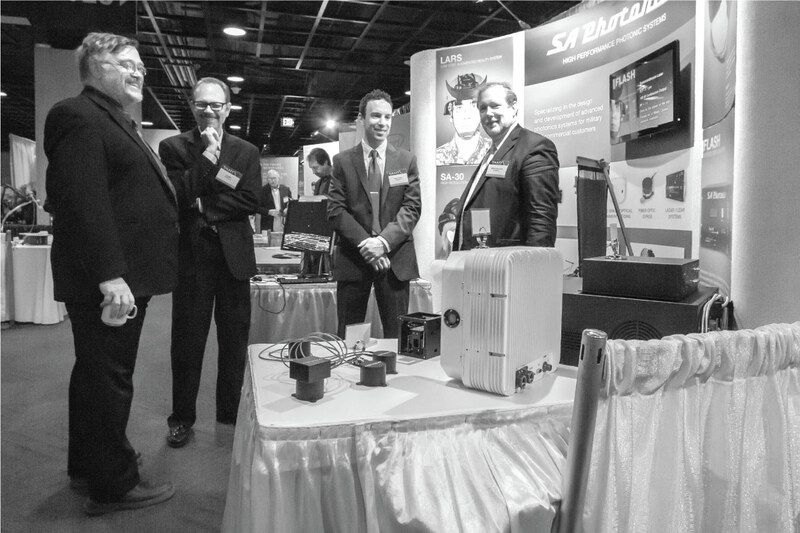 How does a design team develop unique, professional, and engaging systems for an event catering to Government, industry, scientists, and engineers, year after year? 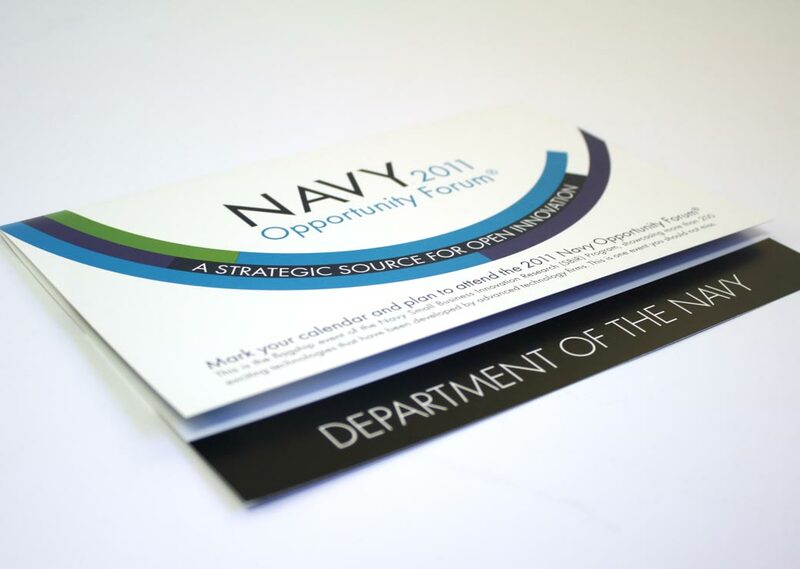 At the beginning of each Navy Transition Assistance Program (TAP) the Navy TAP program managers were presented with several different system designs to choose from prepared by the Dawnbreaker Design team. Based on feedback from the customer, these designs were refined to form the system. 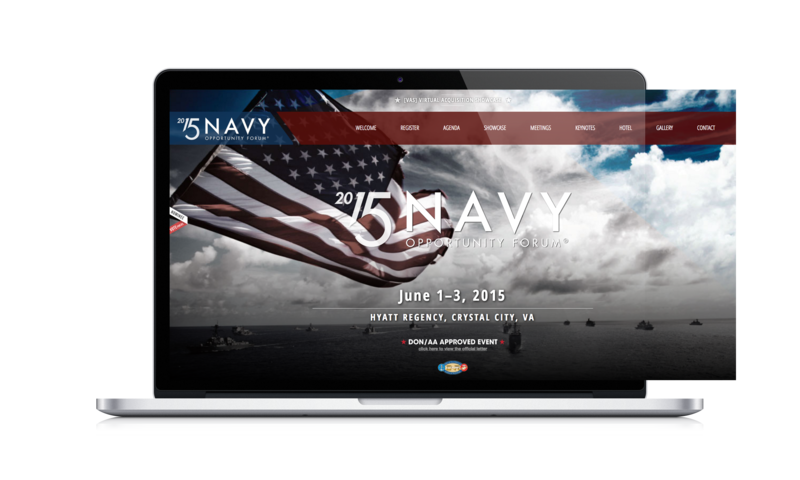 While the Dawnbreaker Design team applied the design system to traditional promotional materials and the event website it also developed customized websites and tools to schedule one-on-one meetings with Navy System Commands that were both visually appealing and highly functional. 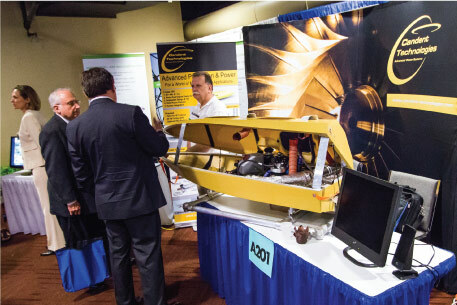 Additionally, the team developed the Virtual Acquisition Showcase® (VAS), which is a database containing a searchable electronic portfolio of business technology solutions for the TAP participants. 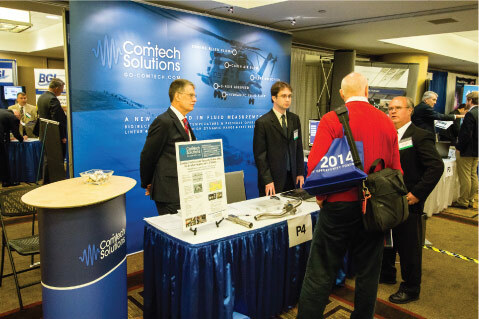 The VAS showcased these SBIR/STTR technologies utilizing quad charts, capability brochures, narrative briefings, and other documents, many of which were designed by the Dawnbreaker Design team and utilized by Government and industry representatives before the Forum. 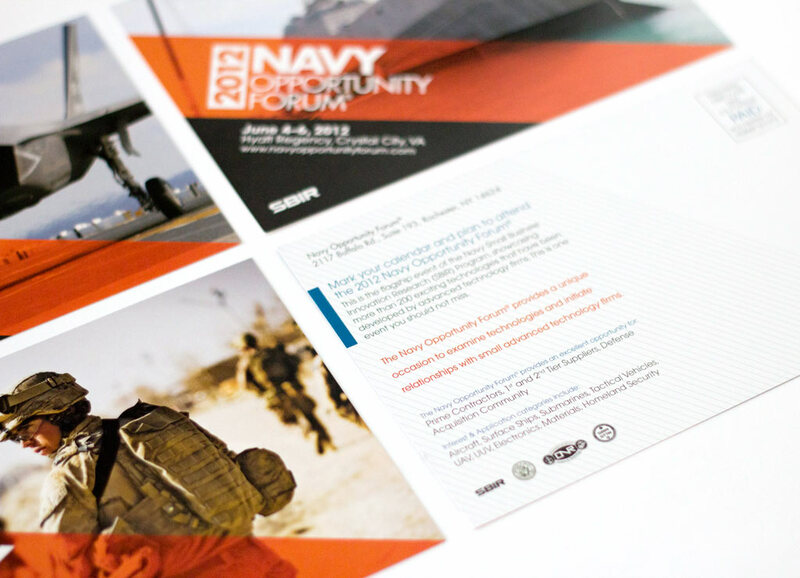 Dawnbreaker Design provided everyone involved, including small businesses, with professional and customized materials to showcase their contributions to the technical, governmental, and industrial communities. The Dawnbreaker Design team’s relationship with this client was unique given the fifteen-year history – whether it’s a new client or someone we work with year after year, the team understands that everyone has a unique working style. Whether it’s working closely every step of the way, or providing initial guidance and ideas before stepping back and allowing the client to take over, the Dawnbreaker Design team will make every effort to accommodate this. 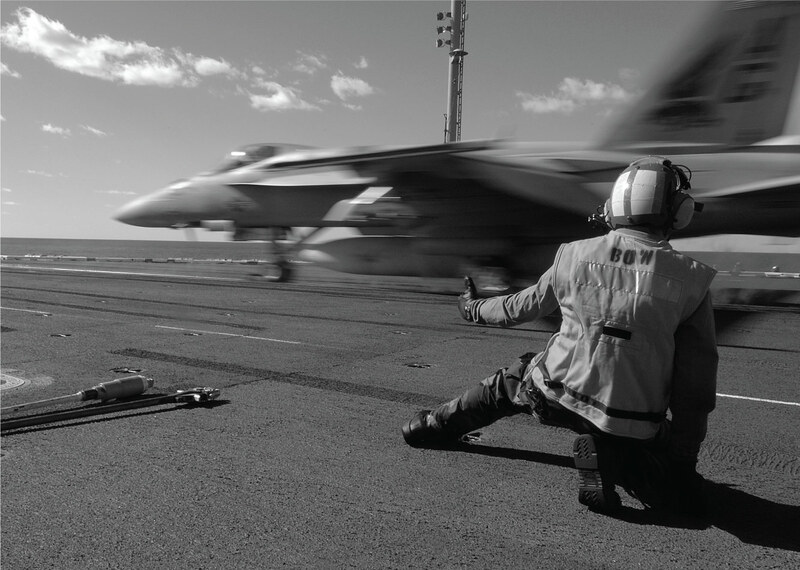 These types of accommodations were needed when working with the diverse client base associated with the Navy TAP program – in addition to the long-term relationship with the Navy SBIR program, many small businesses participated in the TAP year after year, and new small businesses also joined each year as well. Understanding the differing needs of these clients contributes to the overall quality of the end products. 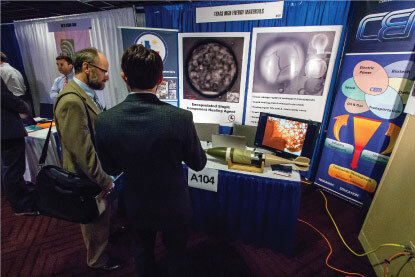 By presenting all TAP participants in a fair and favorable light the ultimate customer, the U.S. Navy, was able to more effectively fulfill the Navy’s Small Business Innovation Research (SBIR) and Small Business Technology Transfer (STTR) program mission to commercialize technologies and transition them to phase III.